It has been announced that The Doctor Who Experience is to close on September 9th 2017, with a whole summer of tours and activities announced to take place before it shuts its doors for the final time. The popular sci-fi attraction, which has been a huge tourist magnet for Cardiff during the past five years is bowing out because its sub-lease from the Cardiff Council is drawing to an end and a solution has not been reached. Originally relocated from London's Olympia, the site is now likely to be developed as part of the ongoing Porth Teigr regeneration project. Starting from the July 8th, 75 minute 'Filming Location Tours' around Cardiff Bay will revisit moments from series 10 and memorable locations from previous series of the show, while props, costumes and sets from Peter Capaldi's latest set of adventures will also be added to the current display inside the Experience. In addition, fan favourite The Yeti, who first appeared during Patrick Troughton’s incarnation as the Doctor is being restored by model unit expert Mike Tucker and exhibited in all its glory to visitors. The Yeti was voted in a public poll to be the final classic monster to receive restoration work. 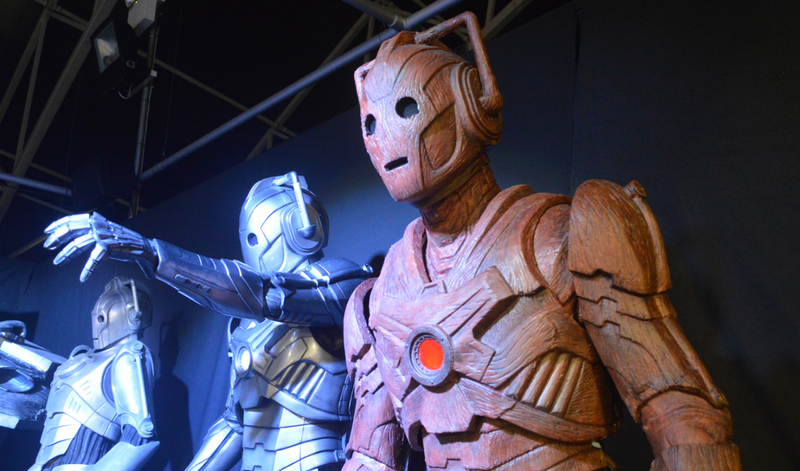 Also, on July 22, the Experience will host its final Monster Event, with the Cybermen at its theme. The day will include workshops and question and answer sessions with monster-makers, Millennium FX; a chance for fans to be converted into Cybermen; as well as live Mondasian Cybermen roaming the Experience floor. The day will be completed with a repeat viewing of the upcoming final two-part episode to star Peter Capaldi as The Doctor. August will then mark the biggest Doctor Who Experience Cosplay Celebration yet, with fans invited to visit dressed as their favourite character or monster. To read more information and purchase tickets for The Doctor Who Experience, see http://www.doctorwho.tv/events/doctor-who-experience - ticket demands are expected to be high, especially for event days so booking early is recommended. "It's the end...but the moment has been prepared for"